Having replenished our stores in Gibraltar its south to tour Morocco: Tangiers, Casablanca and Agadir. From there on to a tour of the Canary Islands and in to Las Palmas ready for the start of the ARC on the 20th November 2011 and our first big ocean crossing! Roughly 20 days later we will arrive in Rodney Bay, St Lucia, just in time for Christmas and post-ARC celebrations! 18 months, 4 continents, 2 oceans, 2 people, 1 boat ... and Wally! Whilst all good adventures should be allowed to evolve of their own accord, a general plan and aim is required! We will begin our journey from Gibraltar, where Ootnic is currently moored, heading north east along the Spanish coast to the Balearic islands. From there we will head east to Sardinia and Corsica. After some time relaxing on the beautiful islands we head east to Naples and south along the Amalfi coast to Vulcano, through the Messina Straight and then a long passage up to the coast Montenegro and then the islands of Croatia. From there a long passage down to the Ionian islands, through the Corinth Canal and on to Delphi and Athens. Island hop up to Istanbul and then a flight to see the newborn niece in Dubai! More island hopping down to Santorini, to Krete and a long passage on to Malta. A refreshing break, a trip to Lampedusa, and from there, well it will depend on the situation in North Africa at the time, but hopefully some coastal sailing off Tunisia before heading north to southern Sardinia then west to the Mediterranean coast of Morocco and on to Gibraltar to replenish supplies, refit anything we have managed to break and stock up on tax free booze ready for the Caribbean! And the plan for the Caribbean? Who knows right now?! Just beautiful islands, warm sunshine, blue tropical waters, diving, fishing, good food ... and no work! There are many islands to visit so we will see which way the wind is blowing and go from there. 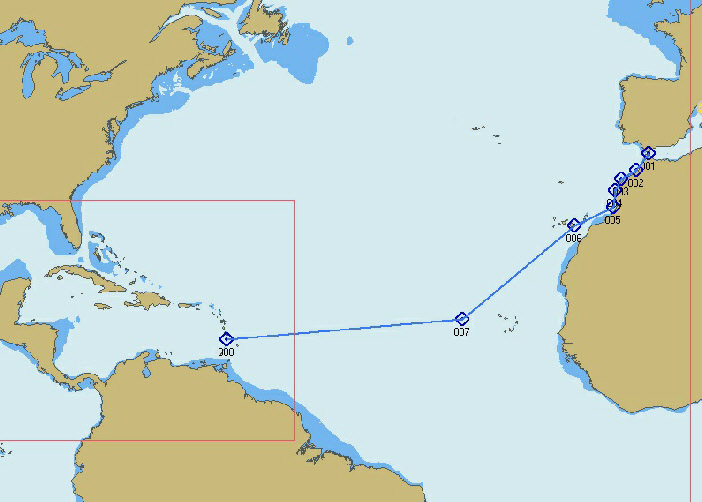 Westward bound we will visit the Netherlands Antilles and continue on towards Columbia and the historic city of Cartagena. From there we will sail to Panama, avoiding drug traffickers and paramilitaries to arrive in the absolutely stunning islands of the San Blas ... I think we will cruise there for a while! Its then an exciting and daunting journey through the Panama Canal to the Pacific Coast. In Panama City we will stock up on provisions for the Pacific leg of our adventure! From Panama City it is a week long sail down to the Galapagos Islands and from there a 3,000 mile passage to the Marquessa Islands. Then to French Polynesia, Tahiti, Bora Bora, the Society Islands, Rarotonga, Tonga, Fiji, and New Caledonia. Our destination for arriving in Australia will depend how much time we have left after cruising the Pacific. Our only time constraint is that we want to be moored up in Sydney harbour ready for the 2012/13 New Years Eve fireworks!